From left to right: Brian Carr- Diving Class of 1993. Rick Overfield and Jeff Pearson accepting on behalf of David McClain. Mike, Rosie, Michelle and Tim Leedy accepting on behalf of their father and husband, Howard Leedy. Outside of being Homecoming this Friday night, there is also a special event taking place. 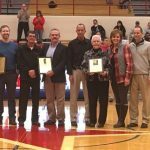 Between the girls and boys basketball games will be this year’s HOF Induction. As we go through the week we will take a look at those going in. 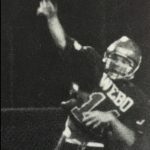 Congratulations to our first HOF inductee of this year’s class, David McClain. 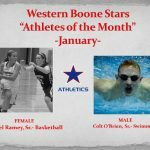 Congratulations to December Athletes of the Month- Freshmen Lauren Jones and Dakota Halford. Lauren has been undefeated in her individual events. In 9 swim meets which equals 18 times she has won without a loss. Dakota is leading the Stars wrestling squad with a record of 7-7. 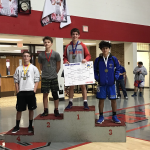 Middle School Wrestling, Varsity Wrestling · Dec 2 Webo Duals tomorrow. Western Boone’s lone advancing wrestler was Levi Scott, who placed fourth at 160. 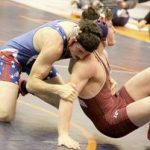 Scott pinned Biery Austin on Clinton Prairie in the opening round, but lost to Alec Jessop of HSE 15-3 in the quarterfinals. 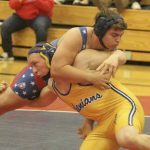 Scott won by injury default over Leabnon’s Grady Robertson and then pinned Fishers’ Hayden Grow to advance to the regional. Congrats to Levi Scott who is the conference champion at 162 pounds.